Twinkle has a list of target exoplanets that it will observe once in orbit. ORBYTS offers school pupils the chance to enrich our understanding of these new worlds by improving our knowledge of the molecules they’re made of, their orbit and physical properties. This provides a unique opportunity for pupils to undertake cutting-edge science that has a meaningful impact on a future space mission. 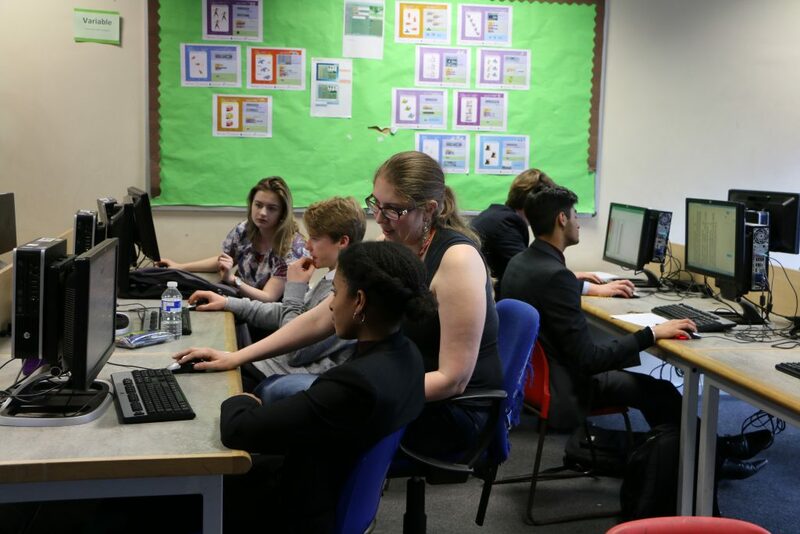 Tutors typically visit school groups fortnightly to teach the undergraduate-level physics pupils will need for their ORBYTS project. Pupils get hands on experience of what’s involved in scientific research and work closely with young scientists, challenging any preconceptions or stereotypes about who can become a scientist. In some cases, where the ORBYTS work is good enough and there are significant results, the pupils are named as co-authors on a paper in a peer-reviewed journal. ORBYTS also gives young scientists experience in supervising individuals and leading a research project. 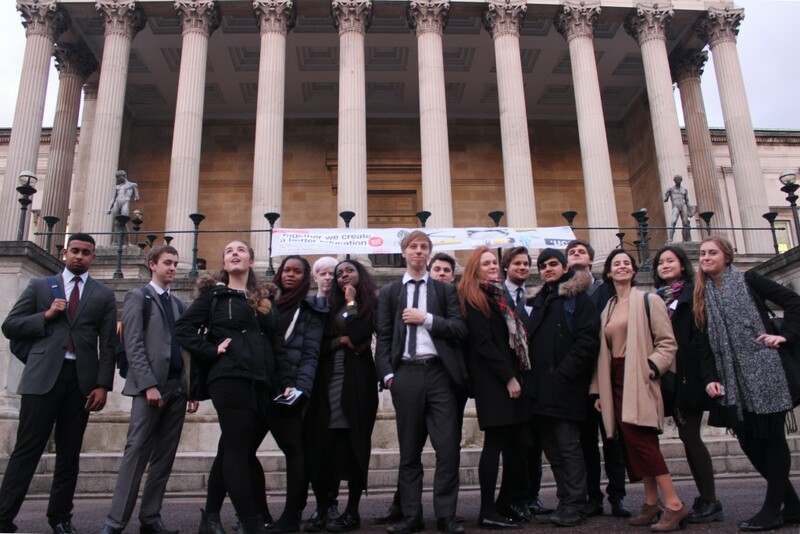 The ORBYTS 2017-18 programme involves 10 tutors from UCL, Imperial College, Kings College and Queen Mary University of London, working with 11 schools around London and over 70 students aged 15-18. Soft skills such as time management, presentation of complex research findings to general audiences and email communication skills. Katy L. Chubb , Megan Joseph , Jack Franklin , Naail Choudhury , Tibor Furtenbacher , Attila G. Császárc , Glenda Gaspard , Patari Oguoko , Adam Kelly , Sergei N. Yurchenko , Jonathan Tennyson , Clara Sousa-Silva [4, 1, 2]. Accepted 23 August 2017, Available online 24 August 2017. Journal of Quantitative Spectroscopy and Radiative Transfer, Volume 204, January 2018, Pages 42-55. Laura K. McKemmish , Thomas Masseron , Samuel Sheppard , Elizabeth Sandeman , , Zak Schofield , Tibor Furtenbacher , Attila G. Császár , Jonathan Tennyson , and Clara Sousa-Silva . Published 8 February 2017, The Astrophysical Journal Supplement Series, Volume 228, Number 2. Laura K. McKemmish, Katy L. Chubb, Tom Rivlin, Jack S. Baker, Maire N. Gorman, Anita Heward, William Dunn, Marcell Tessenyi, Twinkle team. Published 1 October 2017. Astronomy & Geophysics, Volume 58, Issue 5, 1 October 2017, Pages 5.11. Want to help create scientific knowledge and work with a space mission while gaining teaching experience and being paid? 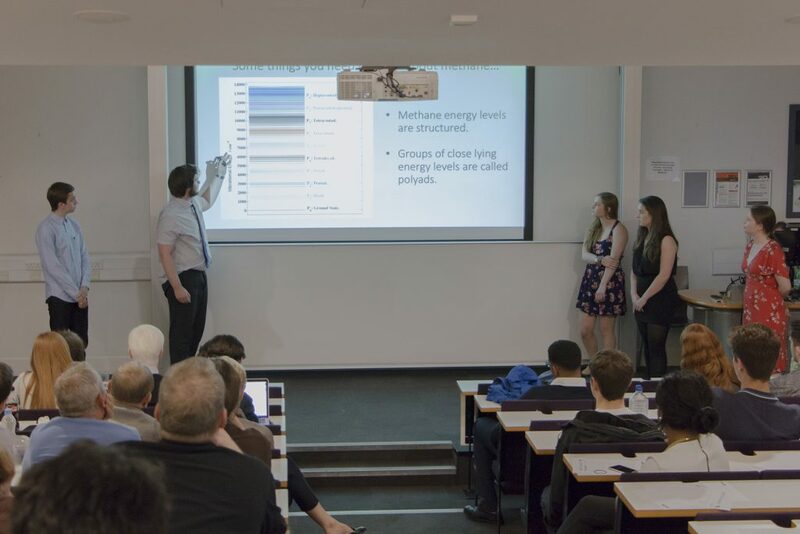 We are looking for enthusiastic undergraduate and post-graduate physicists to be assistant tutors or tutors for our ORBYTS programme to characterise exoplanetary atmospheres through spectroscopy. Good knowledge of atomic and molecular physics/ spectroscopy is essential. Undergraduates will work with more experienced researchers, while PhD students will take charge of their own team with support provided. Previous teaching experience a bonus but not essential. Positions are expected to arise periodically as the ORBYTS program expands, in a variety of geographical locations around the UK with different time commitments. For PhD students, we can assist in starting and funding ORBYTS program in schools in their local area. 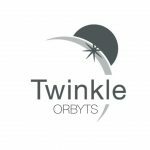 Please email orbyts@twinkle-spacemission.co.uk for more information and to send applications. For applications, please include a brief cover letter highlighting why you want to be involved in the program and a CV including your recent exam results and any previous teaching experience. Want to get involved in real scientific research? Want to expand your school’s outreach activities? We need enthusiastic teachers and educators to help us to deliver this project to as many students as possible across the UK. Ask us about how you can get involved!